Fifty five percent of voters in Washington state’s scenic San Juan County approved a measure enacting a Real Estate Excise Tax (REET) for affordable housing that is projected to generate $15.2 million over a 12‐year period. The measure also establishes an Affordable Housing Fund to develop, produce, and preserve affordable housing in San Juan County. Through the Affordable Housing Fund, REET funds will be used exclusively for the development of affordable housing including acquisition, building, rehabilitation, and maintenance of housing for very low, low, and moderate-income persons and those with special needs. San Juan County has the least affordable housing in the state of Washington. A county comprised of islands in the Salish Sea, its beauty is an attraction to tourists as well as retirees. As a result of its popularity, many islanders live in tents, sub-standard dwellings, or are forced into communal living or tight rental situations. People have moved to the mainland in search of better housing markets. Business owners struggle to find employees because the working class has nowhere to lay their heads. In 2017, San Juan County Affordable Housing Strategic Action Plan included a recommendation to enact a REET as a dedicated funding source for a county housing trust fund. In May 2018, the San Juan County commission passed an ordinance establishing the Affordable Housing Fund and an expenditure and administrative plan for the funds generated by the REET. 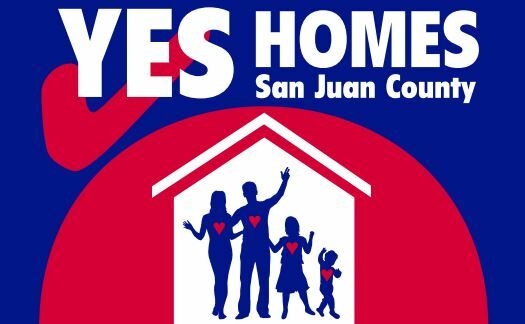 Led by OPAL, Lopez Community Land Trust, San Juan Community Home Trust and engaged community members, a coalition formed Yes for Homes to educate county voters and build support sufficient to pass the REET. The campaign lifted up stories of community members on the islands facing housing challenges and the success stories of people who had benefited from the having an affordable home. The campaign also secured endorsements from more than 900 individuals, 7% of total registered voters in the County. The San Juan County Department of Health & Community Services will administer the Affordable Housing Fund, with oversight, input and direction provided by the County Council. The Affordable Housing Fund has two programs: Production and Preservation of Homes Program and Acquisition and Opportunity Bridge Loans Program. The Department of Health & Community Services will award funds through a competitive grant and loan process to eligible recipients, which include nonprofit affordable housing providers, for profit affordable housing providers, housing authority for County, and other programs run by a public agencies providing housing services.